Evolution Gaming is a recognized front-runner in the sphere of solutions for a casino with the live croupier. Established in 2006, the company quickly gained popularity and in the first few years of its existence signed contracts with key players in the online gaming sphere. In 2010, the company was recognized as the top supplier of solutions for casinos and awarded Live Casino Software Supplier of the Year, and the rising star in the software industry of the year, consolidating its reputation as a European pioneer in the development of game content for a casino with a live croupier. Evolution is developing rapidly today. Having spacious TV studios in Latvia, Great Britain, Italy, Malta, the company offers roulettes, blackjack, baccarat, hold’em, various kinds of poker with professional croupiers. Evolution Gaming has more than 300 tables and about 3000 dealers. A distinctive feature of the provider is the availability of dedicated tables. The operator can choose the design of the studio and the clothes of dealers corresponding the style of their casino. Furthermore, it is possible to carry out the game not only in English, but also in Swedish, Turkish, French, Danish, Russian, Greek and Italian. 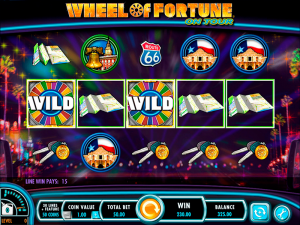 The multi-game functionality allows players to simultaneously participate in 4 games on one computer, even more enjoying the feel of the game directly from the gambling hall. Games are adapted for mobile gadgets and are equally accessible on computers and portable gadgets. Games can be managed in several ways. In addition to the usual clicks, you can make an oral bet – for this there is a special button. Each game involves the possibility of chatting with the croupier. The player chooses the most convenient way. A variety of games designed by Evolution Gaming allows a punter choosing one that matches their gaming experience and financial capabilities. Variation of rates – from the public to the elite level – makes products of Evolution Gaming available to a wide range of gamblers. Evolution underwent licensing and obtained certificates from the most respected gambling regulatory authorities, including the Gaming Control Commission in Alderney, as well as the gambling commissions of Great Britain and Belgium. Integration of Evolution Gaming games in any casino means providing users with top-level content that meets international standards. Evolution Gaming specializes in producing live games. 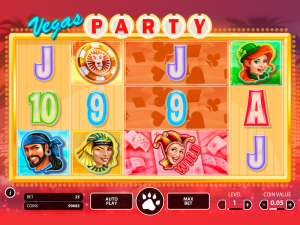 The difference between these games from regular roulette, blackjack or baccarat is that the user can monitor the croupier in real time using an installed webcam. In addition, a punter plays against croupier, and not against the computer, which increases trust and interest, and also creates the feeling of being in an inland casino. The collection of games from Evolution is roughly divided into 5 categories: blackjack / roulette/ hold’em casino / baccarat and three-card poker. 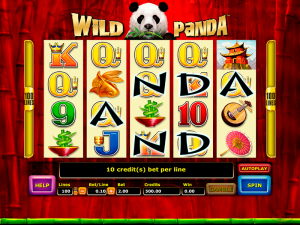 Each category contains several varieties of games, differing in the size of bets, options, interface and other aspects. Should you want to play roulette, you are free to select between European, French or American one, ect. Also during the game, you can change the camera’s layout. Setting a close-up, you will observe the roulette wheel and clearly see the movements of the ball. On the general view, you will see both the wheel and the croupier. Gamblers can choose their own location, appearance of the game if playing blackjack and, if playing roulette, select the camera plan. Baccarat lovers have at their disposal the right to an additional bet and track the moves of their opponents, which makes the game more active. Gamblers who prefer hold’em casinos will also be satisfied. In this category of products from Evolution Gaming can play an unlimited quantity of participants, because the game is all against the same croupier, and not against each other. VIP-room, where the games are conducted only at the maximum rates, will be truly appreciated by high rollers. Only players awarded with “diamond” and “platinum” VIP status are allowed in this area. Three-card poker will be just right for less experienced gamblers. It is a rather common variant of poker and, having a certain strategy, you can get a good advantage in the game against the casino. Quite an interesting aspect of playing games of this developer is the ability to communicate with the croupier in a live mode, that is, by voice, and not by pressing the buttons. Thus, the gambler can choose a more convenient way of betting. Anyone can become a user of live games of Evolution Gaming, irrespective of skills and financial abilities, because it proposes a really huge range of entertainment with a great deal of rates. Evolution Gaming is justly considered the number one supplier of Live Casino in the mobile version. Games are optimized in such a way that they are equally convenient to play on the desktop, on the smartphone and tablet, on iOS and Android operating systems. The interface is intuitive and convenient, and in order to play you will not be downloading the application. Evolution Gaming proposes a big quantity of special offers that operators can propose to players. For example, gamblers are able to be winning continuously for a certain amount of time, participate in competitions and rallies, or play games dedicated to world sporting events. This helps attract new players, keep existing ones, increase profits and improve the image of the casino.